*This product was gifted, however all opinions remain 100% my own and honest. When Bondi Sands got in touch with me and asked if I'd like to try out their new foam, I jumped at the chance. I've never actually tried any of the Bondi Sands tanning products, but I have always wanted to as I've heard such great things about them and the tan itself always looks very healthy on other people. This tan retails at £14.99 (shop here). This tanning foam in particular is different to the original Bondi Sands foam as this one doesn't need to be washed off- Amazing! You just leave it on your skin for at least 6 hours and then wash it off, but you can get dressed within moments. When I first heard about this I was shocked as it sounded like all of my prayers had been answered. I love the look of being tanned and when I do find the energy to tan, I always feel 10x better, although I just find the process of tanning too much like hard work. For me, this product removes all of my bug-bears about tanning: I don't have to sit and wait for what feels like an age after I have applied the tan before I can slip on some loose clothes. I love that if I forget to tan for an event or occasion, it's not a problem as I can just tan and then get ready, head out the door and within 2-3 hours, I'll suddenly become bronzed! ....are you as enticed as I am yet? I found this foam so easy to apply onto my skin. I instantly noticed that it smelt so nice, which I think is the coconut that it is infused with. The foam itself is a pale beige colour so I found it hard to see where I had already applied it so at first I thought 'wow this isn't very dark'...so I put two thick coats on but then after 2-3 hours it developed and I was very dark*!!! So the foam colour itself is misleading so that's something to be aware of to not make my mistake. * In my opinion of being tanned, as I don't usually tan at all and I am used to being as pale as casper the ghost. I think one coat of this would have been perfect for me, as I don't usually tan, so after two coats I do feel very bronzed but it's the perfect colour for me if I was going out on a night out. For a more subtle glow, I'd probably stick with one coat. 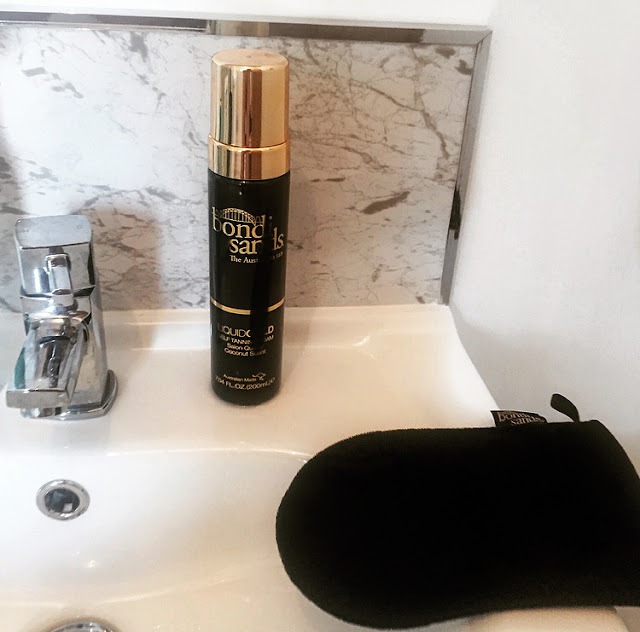 To test out this tan, I applied this product to the whole of my body using the Bondi Sands velvet tanning mitt (gifted) but missed my right leg and thigh to see the difference in colour that this product would give to my skin. I applied the tan around 6pm and as the tan dried really quickly, I put on my PJ's a few moments later and got on with my evening and then slept in the tan too. Also, when I woke up, there was only a slight bit of transfer onto my pillow and my PJ's, but it was hardly noticeable and the sheets weren't stained at all. Another huge winner for me! Here is a before and after photo of using this tanning foam. This photo was taken the morning after I had applied this tan. As you can see, my left leg which I applied the tan to the night before looks super bronzed and amazing and my right leg had no tan applied to it. I think this tan is a really lovely, healthy tan shade and I love how it turned out. However, my skin afterwards did feel very dry after I had this on, particularly my hands, despite the product being enriched in Argan Oil. The tan itself lasted around 5-6 days on my skin before it began to get patchy. I noticed it first went patchy around my wrists and hands but it seemed to fade gradually elsewhere before I scrubbed it off. I was really impressed with how long this tan lasted on my hands as usually the tan off my hands wears off after a day or two as they're constantly being washed but I found this Bondi Sands tan stayed on a lot longer. Overall, I am super impressed with this tanning foam and I'll never look back! I'd rate this tan a 9/10, because it is life-changing for me as it dispels all of my annoyances that I have with tan and gave me a deep, healthy glow, but it did make my skin feel really dry, but I suppose that just reminded me to keep on moisturising which helped it to stay on for longer! The Lake District is a BIG place, covering 912 square miles, so I'd say it has something for everyone. 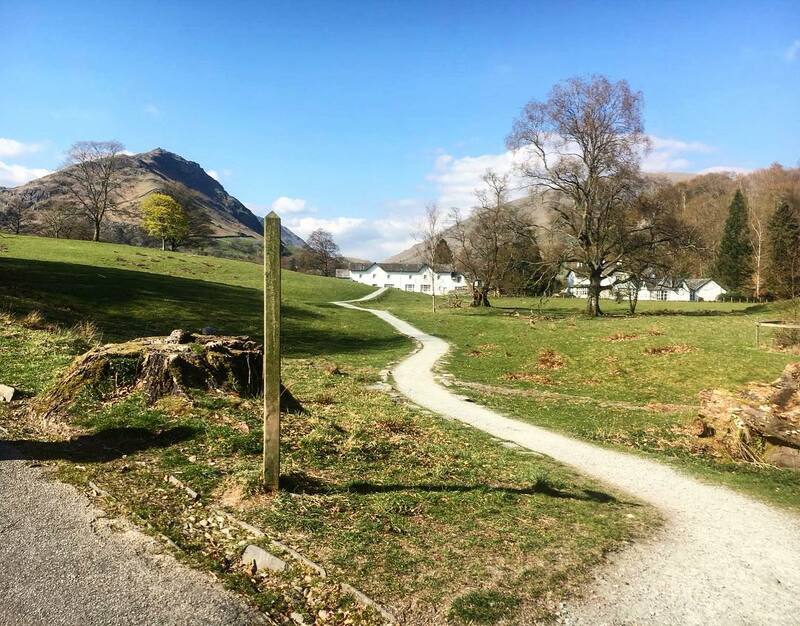 My boyfriend (Jack) and I went to the Lake District last week for three days for a little mini-break as we are both in the midst of our masters' degrees and in dire need of some rest, relaxation and recuperation. Over three days we didn't get to see everything that the Lake District has to offer but considering we went for a rest, we certainly saw the sights. We had a car and the weather on our side but no pre-planned itinerary, so I thought I would share with you what we got up to! We arrived at our little Lodge near Windermere late Tuesday afternoon and spent the evening settling in and relaxing. When we woke on Wednesday morning, the sun was shining through the curtains and the skies were bright blue so we decided to head down to the pier at Bowness-on-Windermere and hire a boat. I thoroughly recommend doing this! We had so much fun sailing into the middle of the lake and turning off the engine and relaxing together on the back of the boat. It was picture-perfect and I can still remember the feeling of the blissfully warm sunshine beaming down on my face. The prices range depending on which boat you go for but ours was £35 for an hour which felt like plenty of time to us. We then drove back into Bowness-on-Windermere and went out for dinner at an Italian restaurant which I highly recommend called 'Trattoria'. I had the salmon pasta and Jack had the tomato Gnnochi. Both were delicious. Today was yet again another beautiful, sunny day so we decided to drive North to Keswick first to visit the town and go for a walk there. Keswick is a lovely town with lots of cute, quaint shops and tea rooms. After a full day, we drove back to our lodge and had a night-in with a takeaway! On our final day in the Lakes we woke up early for another day packed full of adventure! We drove to Coniston and hired out bikes from the Coniston Boating Centre. I highly recommend visiting Coniston for a walk or if you're feeling more adventurous, visiting the Boating Centre as they offer bike and boat hire and there is a stunning cafe called the 'Bluebird Cafe' which is situated facing the lake. The bike hire was £15 each for 2 hours so that cost us £30. We had made up a picnic again and brought that with us so we were able to take a break and sit facing a lake and eat our picnic, which was so lovely and peaceful. Begrudgingly, yet exhausted, we then headed home after a busy, yet relaxing trip away. As the weather has been unusually sunny for this time of year in the UK, it's got me super excited for spring and the warmer weather. I love springtime as the air always feels so fresh and best of all, I can go out in just a jacket and a t-shirt and ditch the coat! Aside from the clothing changes that come with each seasonal change, I also change up the skincare and makeup products that I am using. 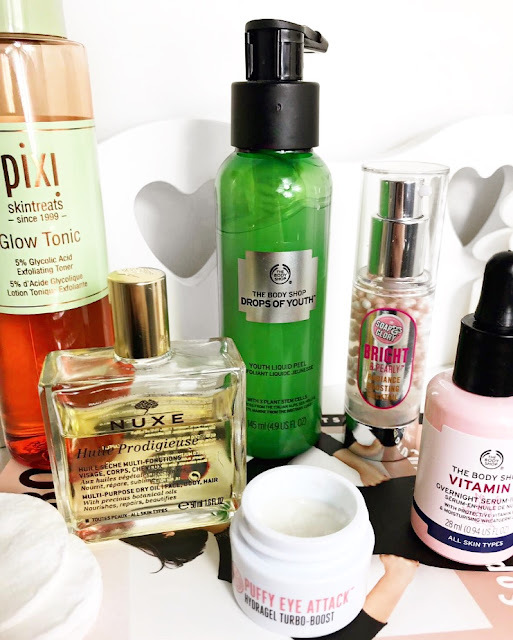 I love the look of glowy, dewy skin in the spring/summer time and so I thought I'd share with you 6 skincare products to help you to get that glow! For reference, I have normal-dry skin but my skin is also very sensitive so I have to be careful what I use on my skin. All these products are really gentle and soothing on my skin and work great for me! 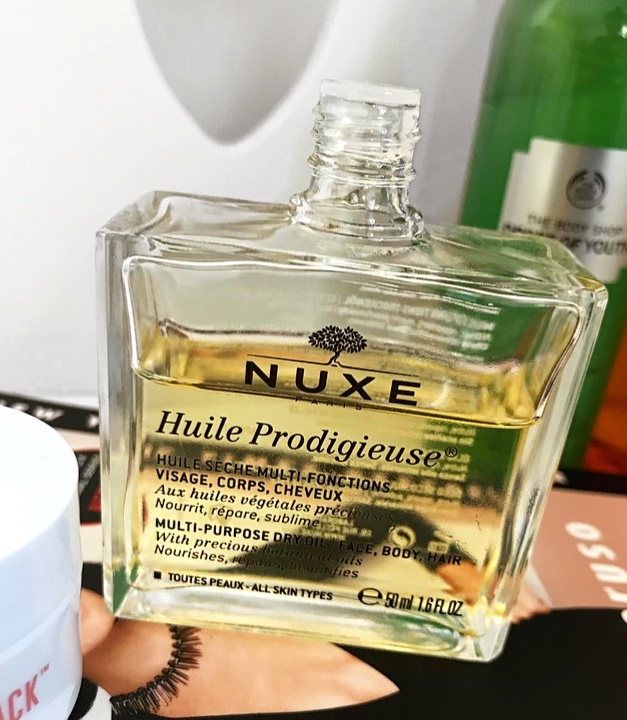 Starting off, this is a product which helps to lift away any dead skin cells and impurities to reveal clean, smooth skin which is perfect to use as a first step in your skin-care routine so that all the other products that I am going to show you, absorb into the skin better, to reveal healthy, glowy skin! To use this, I apply one pump of this onto clean, dry skin and massage into my skin using circular motions for around 20 seconds and then I wash it off. Whilst you're massaging it into your skin, the gel formula will form clumps and call me gross, but I actually find this so satisfying as I know that any dead skin cells are leaving my face to reveal healthy, glowy skin! Any exfoliating toner would do, but I personally recommend this one as it is great for my sensitive skin. I notice that it gently exfoliates my skin which instantly makes my skin appear brighter and smoother- and more glowy! I also notice that it helps to reduce redness, which I have around my cheeks. If you're looking for an all-rounder, this is the product for you. 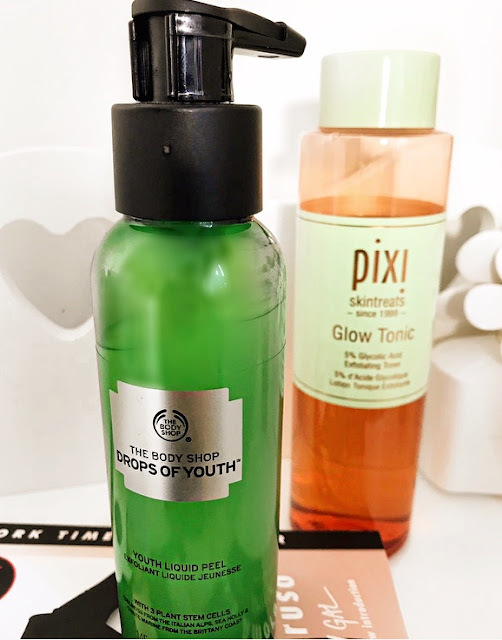 I love using a little bit of this dry oil on my face on a day-time to make my face look dewy and healthy, or I lather it on my face on an evening for it to absorb in and nourish my skin overnight. It absorbs into the skin really quickly and is lightweight. 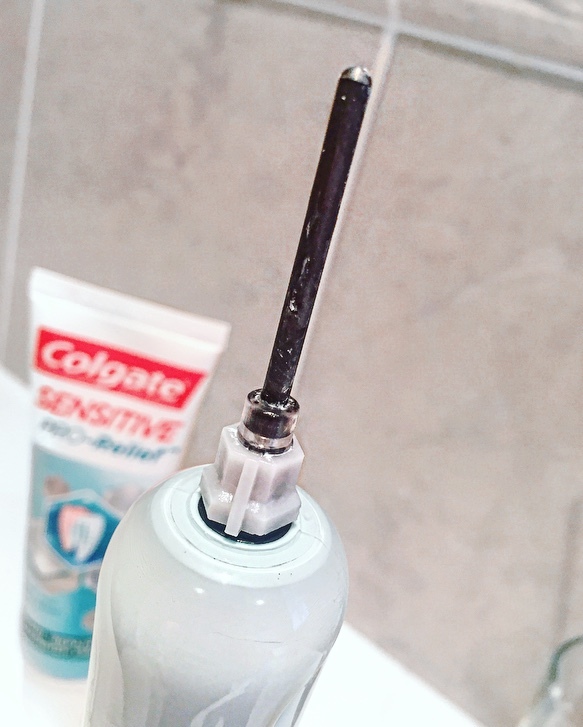 I also use this on the ends of my hair to repair it and help it to look healthy and shiny! I definitely recommend this product as an all-round, all-season must-have! 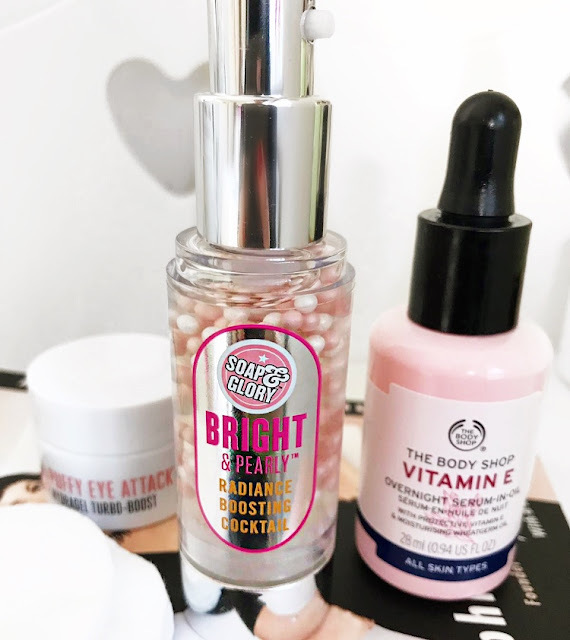 This is probably my favourite product out of all of these to achieve a healthy glow in the day-time when I actually have to leave the house. I just use one or two pumps of this and it gives me a really nice, subtle healthy-looking highlight to my skin that doesn't make me look greasy or sweaty in the slightest. I love using this on no-makeup days or days when I'm not wearing any foundation to help my skin to not look as dull. 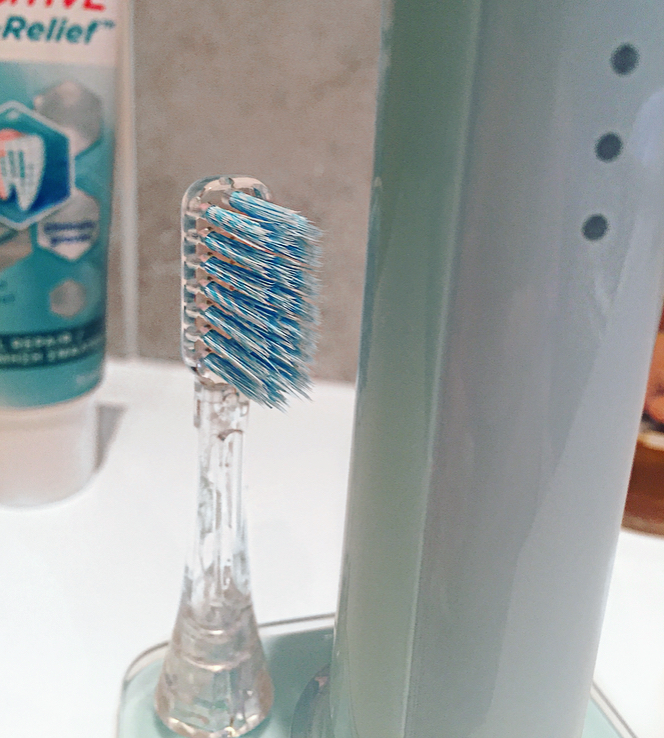 It has a light, cooling texture, it is really hydrating and it smells really nice! I've been using this at least three times a week for the past four months and looking at how much I still have in the bottle, I'd say that's pretty impressive. 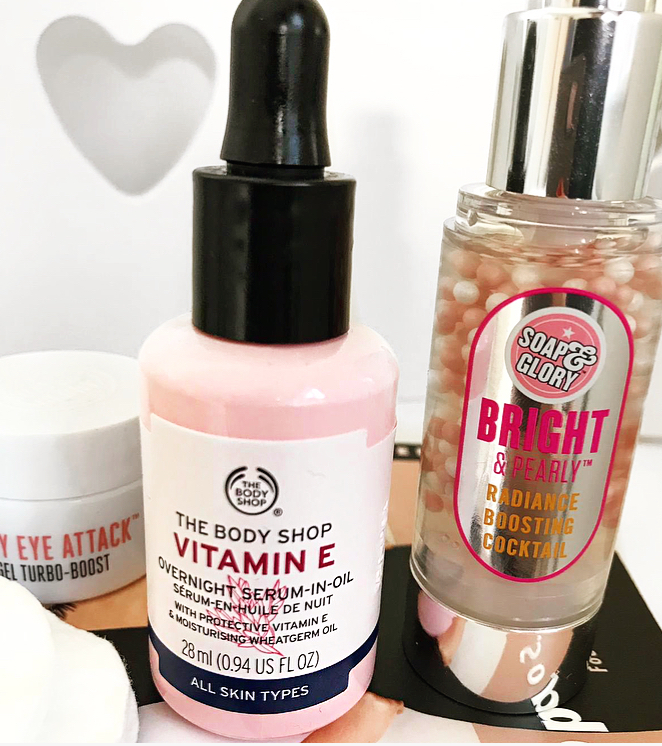 I honestly think that the Soap & Glory skincare range is so under-rated! I love this little eye-cream as it helps to de-puff my eye area and leaves my skin feeling smooth and refreshed. 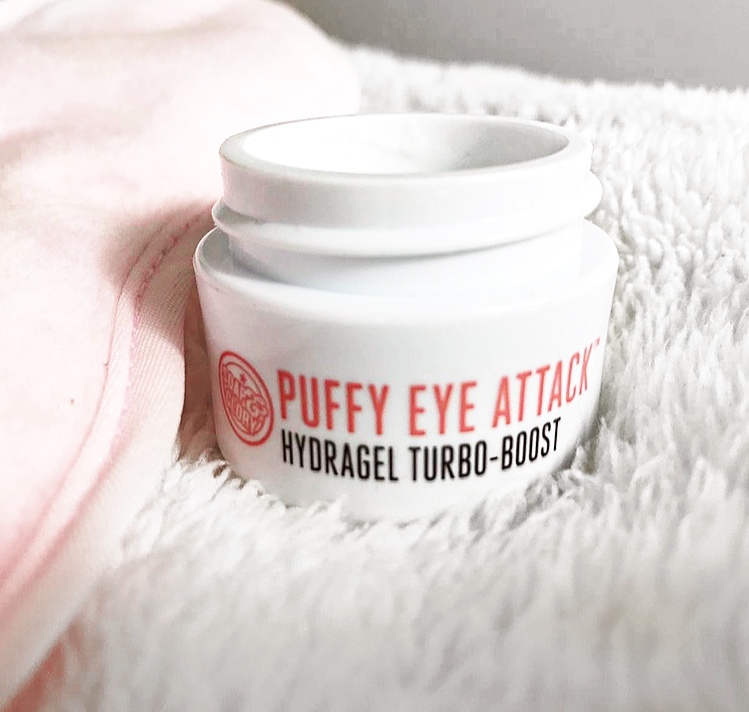 It absorbs into my skin quickly and helps to brighten up my eye area. This product was love at first use for me. I use this of an evening and then I wake-up and my skin looks replenished, radiant and it feels so soft! I also love the smell of this. As it says on the tin, I would only recommend using this of an evening because it does make my skin look wet and greasy, unlike the Soap & Glory Radiance Boosting Cocktail which as I explained before, that doesn't. What's your spring skincare must-haves?